Connection/Communion with your mentors. You can accelerate this by intentionally requiring it, most especially at the beginning and ending of your awake times, and by meditating. Ashtar: “First, it is that, as you continue to uplift, you are more and more in connection/Communion with your mentors. You can accelerate this by intentionally requiring it, most especially at the beginning and ending of your awake times, and by meditating. There are many forms of meditation, but they all are to take you beyond the confines of your physicalities, so as to be more free to make these high vibe connections. Thus it is that many of Humanity’s members are already engaged in these meetings. “Next, I will say many of those who dwell in the Realms of Light are physically present in this World – below, on and above. For instance, I, Ashtar, and my ships are here in your atmosphere, and many of my crew are embodied in human forms. 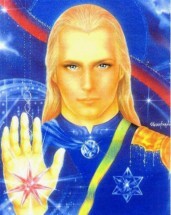 Some of you may indeed have a sensing of being a member of the Ashtar Command! Ashtar: “In Truth, we are already cleaning up the excessive toxicities, such as some of the radiation and chem trails. As Humanity’s consciousness raises more and more, we can do more – even before our presence here is ‘officially’ announced! In this way we can assure you that Planet Earth will not die as a result of all the poisoning she has endured! He will select one or two questions of general interest to answer in our emails – they will not be posted on our website, and they will not be answered privately. Remember to ask about ONE topic only! Be sure to include at least your first and last initials, and the state or country where you live!! !